Spontaneous Sightseeing: Sanders Cafe: Corbin, Ky.
Last Thursday I happened to be in Corbin for a hearing. 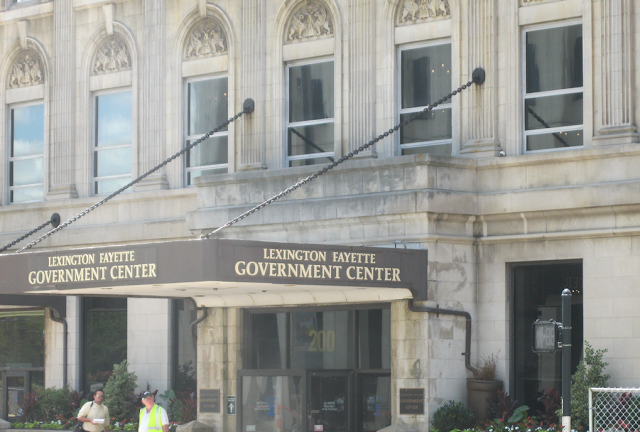 Corbin, interestingly enough, is one of few cities in Kentucky that is in two counties (Whitley and Knox). 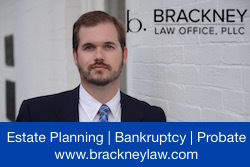 In fact, an unincorporated portion of Corbin is actually in a third county (Laurel), but due to state law, a city cannot be located in three counties. I found Corbin to be notable because of its relative lack of a cohesive downtown area - probably because it isn't a county seat, and lacks a true courthouse area and the traffic and businesses such a center brings. 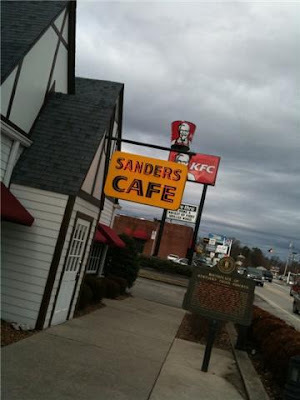 Anyway, I decided for some random reason to go through town on my way back home, and I literally stumbled upon the Sanders Cafe - the birthplace of Kentucky Fried Chicken. I had yet to eat lunch, so I figured why not? So I followed my instincts and "ate where it all began." The Sanders Cafe is weird. Putting aside the fact that it is a KFC with a museum in it, the building itself is a bizarre blending of the past and the present. Imagine taking a full service KFC counter and those plastic booths they have and dumping it inside of a Cracker Barrel. This is sort of the feel of the place. There is also a fully accurate recreation of Colonel Sanders' kitchen, and a mock up of what a room in the old hotel that the Colonel ran looked like. As I ate my chicken sandwich and potato wedges, I began to realize that given its stature throughout the rest of the world, I was probably sitting in the most famous place in all of Kentucky. In a way, I guess this was sort of sad, but in another way I guess its better than what other states have as their claim to fame. I guess its better than nothing to be known around the world for good food and hospitality - and pretty cool string ties. I'm increasingly disappointed in myself for not taking more advantage of my Pikeville meeting a couple months ago. Here's hoping for a Corbin 341! So sad I was out of town for your visit to my neighborhood! Will post my visit on Monday. Also, updated this post to reflect that the Court and Cafe is located in North Corbin (Laurel County).